Do 404 Pages Hurt Website's Ranking? Do 404 Pages Hurt Website’s Ranking? Before going in detailed discussion, I want to say one thing. “404 Not Found Error happen to all websites. Even if on Google.” So you not need to worry about 404 pages if you see it in your website in Google webmaster tools. Let’s take a deeper look at 404 error pages and see how serious problem they are for your website. Do they really affect website’s search engine ranking? Will your website hit by Google Penalty for having too many 404 pages? Your website server 404 page when a visitor request for a page that does not exist on your website. That may happen when they click on a broken link, mistype the URL or try to access a deleted page. 404 error pages tell them that page they are looking for does not exist. How to find 404 Errors On your website? Use Google Webmaster tools to know the 404 Error pages on your website. Open Google Webmaster Tools and select Health in the left side bar menu. Here select Crawl Errors. Do we care about 404 and why? 404 is not going to affect your search result ranking alone. But there are some other factors which may hurt dies to 404 error pages. 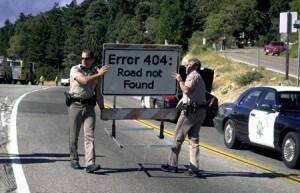 If your visitors are seeing 404 error page in place of an important page, you should worry about this. Because people are interested in seeing a page that is not available on your website. Try to find out why. If the link showing 404 error page has a high PR backlink, then it may surely hurt your page rank as you lost a high PR backlink. 404 Errors may happen to any website, so it is not a big issue. But you should really care if this happens to an important page or a page having backlinks. In this case, you can consider transferring page rank juice and visitors to another page. The page which has backlinks from another good website, use 301 redirects on that. Redirect visitors to some other similar page or home page of your website. This may help you to maintain page rank juice coming to your website. You can also make your 404 pages attractive and user-friendly. This will not hurt your visitors too. Add some important pages there and give a search box to find other useful content on your website. If you have any kind of confusion regarding error pages, you can comment below.